What is Commercial Liability Insurance and Do You Need it? Every business – no matter how big or how small – faces liability, but do you need general liability insurance? Regardless of how careful you are, accidents can (and do) happen causing damage to property and/or injury to employees, customers, vendors, etc. And a close cousin to liability is litigation. According to a 2013 poll, 43 percent of small-business owners have reported being threatened with or involved in a civil lawsuit. And the cost of those lawsuits wasn't small. Business owners who have had to pay legal damages, often say the costs nearly put them out of business. Liability is defined as "the state of being responsible for something, especially by law." If your business is responsible (or even perceived to be responsible) for an employee slipping, falling, and hurting themselves, your company is liable. If one of your business vehicles causes an accident and damage is caused, your business is liable. And when your business is liable for something it means that it is responsible for paying for injuries, damage, and possibly more. General Liability insurance – also called Commercial General Business Liability Insurance, Commercial Liability Insurance, or Business Liability Insurance - pays for your businesses obligations if your business is responsible for an injury, accident, etc. It pays for things like medical costs and the cost of repairs. Liability Insurance also helps cover the cost of your legal defense and any settlements you may be required to pay if you are sued. At an annual cost of $750-$2,000, Commercial Liability Insurance is a good investment for any business when you consider the alternative. 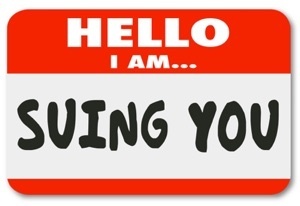 Lawsuits can cost thousands if not millions of dollars, or worse – the loss of your business. The actual cost of your premiums will vary depending on how much coverage you need, the perceived risk of your business (i.e., contractors will pay higher premiums than bookstore owners), and where your business is located (some states are known to award more damages to plaintiffs claiming personal injury). If your business faces excessive risk, you can choose excess or umbrella insurance, which will increase your coverage limits. You may be able to save on Liability Insurance by bundling it with other insurance policies into what is known as a Business Owner's Policy (BOP), but liability coverage with a BOP can sometimes be quite low, so make sure that you have enough coverage. Also known as Errors & Omissions (E&O) or Professional Indemnity Insurance, Professional Liability Insurance addresses negligence claims due to harm that results from mistakes or failure to perform. This insurance is pretty standard for doctors, lawyers, architects, etc. This insurance covers medical costs and lost pay for an employee who is injured on the job. It also helps cover legal fees if the employee sues. WC is required for most businesses that have employees in Pennsylvania. If a product that you manufacture causes damage or injury Product Liability Insurance can help pay for repairs, medical costs, and/or litigation fees. You may not think of this as liability insurance, but if a vehicle that is owned by your company causes an accident, you are liable for any damage or injuries caused. Automobile Insurance can help cover these costs. Our Experienced Independent Agents Can Help! What type of liability insurance and how much coverage you need to protect your business is very unique. But you don't have to go it alone! The experienced agents at American Insuring Group can help determine the best insurance to fit your needs, and as independent agents, we're able to shop among many competing insurance carriers. We're relentless in seeking the best insurance to meet your specific needs, and to get it at a great price. So give us a call at (800) 947-1270 or (610) 775-3848 or find us online. Whether you’re the owner of a one-person home-based handcrafted jewelry business or a large manufacturing plant with 300 employees, you face risk every day. You could lose your entire inventory to a fire, cause an injury while driving to a client meeting, or face a lawsuit for any number of reasons. It is true that larger companies usually face more risk, but smaller companies typically don’t have the resources to recover from an injury, damage, or loss. One nasty lawsuit can put a small company that doesn’t have the proper protection out of business! Business insurance acts as a safety net and helps protect your business from unforeseen circumstances such as theft or accidents, but not every company needs every type of insurance. Here’s a crash course in business insurance, but remember that an experienced, independent insurance agent can help determine what risks your business may face and the best insurance to cover those risks. There are many different types of insurance, and most businesses aren’t prone to every one of the risks these insurances address, but it’s good to know what is available to you. This is a big one that most businesses need. Liability insurance protects you from lawsuits filed by customers, clients, or anyone else who decides to sue you. The three most common types of commercial liability insurance include general liability, umbrella liability, and errors and omissions liability. General Liability Insurance protects your businesses from lawsuits for bodily injury or property damage. Umbrella Liability Insurance goes above and beyond general liability insurance with broader coverage. Plus, if you’re on the wrong end of a huge lawsuit, umbrella liability picks up when your general liability is tapped out. Errors and Omissions (E&O) Liability Insurance (A.k.a. Professional Liability Insurance) covers you if you’re sued for negligent acts or failure to provide the level of advice or service expected by a customer. Some of the businesses that typically carry this insurance are engineers, lawyers, and consultants. Personal auto policies are meant to cover individuals and their family members and may contain exclusions for certain types of business activities. 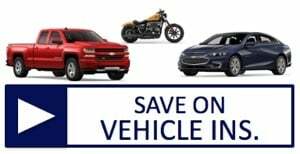 If you use any vehicle – car, truck, van, etc. - to conduct business, you’ll want to look into a commercial auto policy to cover both liability and physical damage in the event of an accident. WC covers the cost of medical care and lost wages for employees who are injured on the job and litigation fees for businesses that are sued by an injured worker. In Pennsylvania, It is required for most businesses with employees. Other types of coverage may be specific to a business or an industry. For example, if a company depends on one person to continue operating, they may want to purchase Key Person Insurance to protect them if that person becomes disabled or dies. If a business serves alcohol, they should look at Liquor Liability Insurance because most General Liability Insurance policies don’t cover incidents caused by serving alcohol. Type of business: If you’re in an industry that is notoriously dangerous like construction you’ll pay more than a shop that sells kitchen gadgets. Age of Business: If you’ve been in business for a while, you may see some of your insurance premiums decrease. Claim History: If your company has a history of making a lot of claims, you’ll probably pay more than one that doesn’t. 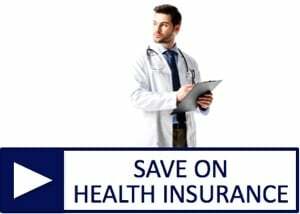 Your deductible: Usually the higher the deductible (the amount you pay out of pocket when a claim is made), the lower your premiums. First, you’ll want to select an agent who is licensed to sell property/casualty insurance. Also, an agent who is familiar with your business is better suited to determine your risks and your insurance needs. Purchasing business insurance online is probably not a good idea especially if you’re unfamiliar with insurance. Having an agent that you can talk to and ask questions, is well worth any savings you may or may not find online. 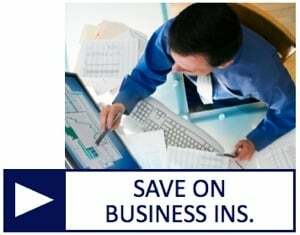 Are You Ready to Save on Great Insurance For Your Business? 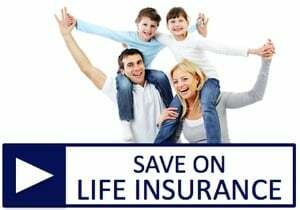 As a broker, American Insuring Group represents several insurance companies, which means that we can compare prices among lots of competing providers, and take advantage of available discounts. The result? You get the best price on your insurance! For a free business insurance quote, give us a call at (800) 947-1270 or (610) 775-3848 or contact us online. We talk a lot about safety on this blog, but the truth is that reducing and preventing the number of injuries in the workplace, is one of the best ways to reduce your workers’ compensation and liability insurance costs. These costs tend to be higher than average in the construction industry due to its dangerous nature, so we’re going to keep talking about safety. One of the best ways to prevent injuries is to be aware of where and how most accidents occur. Here are the five top events or exposures that lead to injury on construction worksites according to ConstructConnect, along with some tips to avoid them. Construction sites are filled with heavy equipment and dangerous tools, so it’s no surprise that in 2016, there were 29,160 cases of injuries caused by contact with objects. Being struck by objects or equipment caused the most injuries. Most of those were caused by handheld equipment or objects slipping or being swung by the injured employee. 5,220 accidents were caused by a falling objects or equipment hitting workers. Injuries also occurred when workers hit an object or a piece of equipment. Some injuries occurred by hitting something stationery such as stepping on an object, but more happened when workers hit a moving object such as a moving part of the machinery. There were also 3,260 injuries caused by a worker being caught in or compressed by equipment or objects. In 2016, there were 24,700 reported cases of construction workers being injured by slips, trips, or falls. The majority of those injuries were caused by falling to a lower level. Construction is hard work, so it’s no surprise that in 2016, 21,150 overexertion injuries were reported. These injuries were caused by lifting or lowering objects; pulling, pushing, or turning; holding, carrying, or wielding, and other things like bending, twisting climbing, reaching, etc. U.S. roads can be dangerous. In 2016, 3,470 injuries reported in the construction industry were the result of transportation incidents. This includes vehicle collisions and pedestrians being struck and injured by vehicles in both work zones and off the road – like on construction sites. Control traffic using barricades and signs to alert drivers of work zones, shifting traffic patterns, etc. Wear proper safety equipment including hard hats, highly visible clothing, steel-toed boots, etc. In 2016, there were 1,470 injuries caused by exposure to extreme temperatures and 420 injuries caused by exposure to electricity. Electrical injuries can include electrocution, electrical shock, burns, and falls, and low voltage does NOT mean low hazard. Understanding your biggest risks for injury and how to prevent them before they happen are your first steps to minimizing injuries in a notoriously dangerous industry. 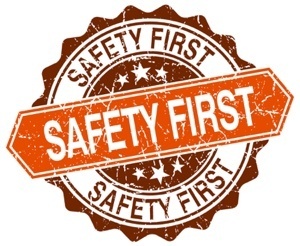 Providing a safe work environment is good for you and your employees. Plus, it provides cost savings on insurance and other costs of workplace injuries such as missed days of work, training new employees, lower employee morale, etc. We'll Help You Save on Every Kind of Commercial Insurance! To learn more ways to save on contractor insurance, workers comp insurance and all types of commercial insurance, simply call American Insuring Group at (800) 947-1270 or (610) 775-3848 or click to contact us online. Our independent agents aggressively shop the market to find you the very best deal on quality insurance. Contact us today to start saving in Pennsylvania and beyond! The construction industry is booming – both new construction and remodeling - and it looks as if that trend will continue. Construction has a 4.5% projected growth rate over the next five years. In fact, construction is expected to be one of the fastest growing industries into 2020, according to the Bureau of Labor Statistics. Real output in the construction industry is expected to reach $1.2 trillion by 2020. This is excellent news if you’re in the business of building or remodeling houses. It translates into big opportunities for builders. Unfortunately, it can also bring higher risk, making now the perfect time to let the experienced independent agents at American Insuring Group review your Builders Risk Insurance to make sure you have the right coverage to adequately protect your business. Builders Risk Insurance is a type of property insurance unique to the construction industry. It covers structures or building materials during construction. It provides coverage for damage from events such as fire, wind, theft, hail, explosion, lightning, and vandalism. 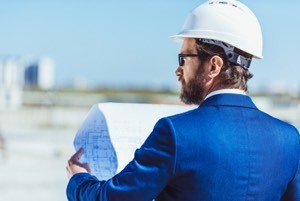 Builders Risk Insurance is typically written for three, six, or twelve month periods, and can be extended (although usually only once) if the project takes longer than anticipated. This insurance pays for damages up to the coverage limit, which should be based on the total completed value of the structure including not only materials but also labor costs. The best way to determine that value is to look at the construction budget. Standard exclusions on builders risk insurance include earthquake, employee theft, water damage, weather damage to property in the open, war, government action, contract penalties, voluntary parting, and mechanical breakdown. Another typical exclusion results from faulty design, planning, workmanship, and materials, which can be covered by Professional Liability Insurance. Does the Booming Industry Mean Higher Builders Risk Insurance Premiums? Historically, Builders Risk Insurance has been safe from dramatic increases. Increases tend to be small and incremental. And experts don’t foresee that changing even with the increase in construction projects. However, 2017 was the costliest year ever for weather and climate disasters in the U.S. totaling $306 billion. The U.S. was hit by 16 weather events that caused more than a billion dollars in damage. Previously, 2005 held the record at $215 billion. Most experts agree that the cost of this damage will only slightly increase builders risk insurance premiums particularly with frame construction and construction in areas that are prone to catastrophes. Cover Your Entire Project - Many builders purchase builders risk insurance because their lending institution requires it, so they only cover the bare minimum: labor and materials. These are the parts of the project the banks have an interest in, but you need to protect your interests as well, which include overhead and profit. Spell it out with a detailed contract – Make it very clear in the contract who (contractor, owner, designer) is responsible for what if something goes wrong. The American Institute of Architects offers comprehensive contract templates. Don’t be Naïve – Whether your company is big or small, you do face risk, and if you don’t have a lot of cash flow even a small amount of damage can be catastrophic. Hire good subcontractors – Verify that all of your subcontractors have certificates of insurance with adequate limits. You may also want to secure a waiver of subrogation and list subcontractors as additional insured for both operations and completed operations for the project. This way, if there is a lawsuit, the subcontractor’s insurance will defend the contractor. Now – while business is booming – is the perfect time to review your business insurance policies! The agents at American Insuring Group specialize in Contractors Insurance and finding ways to lower your risk while reducing your costs. Give us a call at (800) 947-1270 or (610) 775-3848 or contact us online. We’ll be happy to review your policy to ensure that you have adequate coverage to protect your business. We live in a litigious society, and no matter how careful you are or how small your business is, you may find yourself at the wrong end of a lawsuit. Every year more than 100 million lawsuits are filed in the U.S. every year, according to Rocket Lawyer. Thirteen percent of small business owners have faced a lawsuit, according to Hiscox. And according to courtstatistics.org, the median cost for a business lawsuit starts at $54,000. “Nearly half of these cases resulted in negative consequences, including financial impact, loss of customers or damaged reputations,” according to Thrive. Commercial General Liability Insurance (CGL) is essential if you want to protect your business from lawsuits. CGL covers your business in the event of a liability claim for bodily injury and property damage and from advertising and personal injury liability caused by your services, business operations or employees. It usually covers the cost of your legal defense and any damages if you are found liable (up to your policies limits). A customer visiting your business trips on a loose floor tile and is injured. An employee forgets to turn off the water and causes significant damage to a customer’s property. Someone files a class action lawsuit against your business, alleging advertisements constituted misleading information. We are all human. Sometimes things go wrong: an improper installation or a defective product. What if you install a water heater incorrectly, which causes an explosion with significant damage to your customer’s property, and they sue you for the damages? Will your CGL policy cover you? Generally, the answer is yes. The CGL policy is designed to pay for property damage to a customer's property, even if the contractor installed it improperly. It is not designed to pay the contractor to rip it out and replace it in the proper way. That would be the Workmanship exclusion, but damage from a water heater explosion would typically be covered. “Your Product” Exclusion – This exclusion prevents coverage for damage to an insured’s product in the event of a defect in that product. These are just two of the exclusions that may be included in your CGL policy. There are many other exclusions that can result in your claim being denied. Understanding these exclusions and knowing your options will help you protect your business. 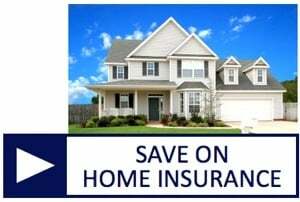 For example, there is optional insurance that can be purchased that may cover you in the event of faulty workmanship - Contractors Faulty Workmanship Coverage or an Errors and Omissions Insurance Policy. Get Help - Contact the Commercial Insurance Experts! CGL policies can be complex, so it’s always a good idea to speak with an experienced and knowledgeable independent insurance agent. At American Insuring Group, we pride ourselves on answering questions you may not have thought to ask and making sure you have the right insurance for your business, all at a great price. Call American Insuring Group at (800) 947-1270 or (610) 775-3848 or contact us online to learn about Commercial General Liability Insurance of all kinds, including Contractos Faulty Workmanship Coverage and Errors and Ommissions Insurance. The EOC looks at nearly 90,000 Employment Practices Liability Insurance (EPLI) claims every year, and the average cost of each case is $450,000. If you own a restaurant, you’ve probably worked hard to build strong relationships with your staff and create an environment conducive to teamwork. If you’re lucky, you’ve found the magical formula that balances friendliness with professionalism, and you’re proudly watching as your well-oiled team creates and delivers delicious food to your customers. You and your staff may even feel like a big happy family. But even happy families disagree and face irreconcilable differences. It happens all the time. Sometimes they can work through it, and sometimes they can’t. The same is true for employees. The Equal Opportunity Commission (EOC) reports that employment issues make up 30% of all civil litigations in the U.S., which makes the likelihood of an employment claim against an employer higher than a property or general liability claim. And employment practices liability risks can begin the moment you interview someone. Employment litigation claims can have a severe financial impact on a restaurant, even forcing them out of business if they do not have adequate insurance. 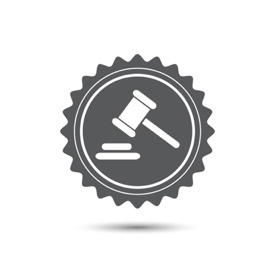 According to the Society for Human Resource Management, 67% of all employment cases that go to litigation result in a judgment for the plaintiff. Larger companies tend to protect themselves against employment claims with employee policies and procedures and EPLI, but many small restaurant owners do not, and 41% of all EPLI claims are made against employers with only 15 to 100 employees. Research employment laws that apply to your business. Create an employee handbook with detailed policies and procedures that guide you through hiring, disciplining, and terminating employees. Include policies and procedures regarding attendance, discipline, and complaints; an employment-at-will statement and an equal employment opportunity statement. Create job descriptions for each position that clearly defines the skills and performance expected from someone hired for that position. Conduct background checks on candidates. Conduct and document periodic performance reviews of all employees. Create a zero-tolerance policy regarding discrimination, substance abuse, and harassment. The cost of EPLI coverage is determined by factors such as the number of employees you have, the percentage of employee turnover, and if you have established practices and procedures in place. EPLI may be offered as an endorsement to your Business Owner’s Policy, General Liability Policy, or as a stand-alone policy. It usually covers the cost of defending your restaurant against the charges and any damages you are ordered to pay. Don't take chances with your restaurant business - you've worked too hard to get to where you are today. Be sure you are properly covered for every liability. For a FREE REVIEW of your liability insurance, contact American Insuring Group online or call us (800) 947-1270 or (610) 775-3848. 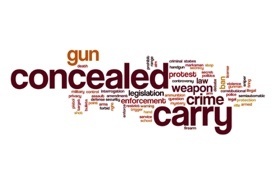 Don't shoot yourself in the foot - consider your concealed weapons policy! As a small business owner who allows customers and visitors on your property, you assume the responsibility of providing a reasonably safe environment for them. This responsibility includes warning them about any concealed dangerous conditions. In states with “concealed carry” laws, you might need to post warnings that your sales clerks are armed. But what if one of your employees, legally carrying a concealed weapon, negligently (or deliberately) shoots a customer who is on the premises conducting business, and the client subsequently sues you for the injuries? Will your Commercial General Liability Insurance (CGL) policy cover this incident? Obviously, you would have to be found legally responsible for the injuries for the CGL to pay. And, while your liability might be debatable, you will be brought into any lawsuit by the injured customer. At that point, your insurer will be compelled to defend you unless there is some clear-cut exclusion in the general liability policy that would apply to the shooting occurrence. And that’s not likely. 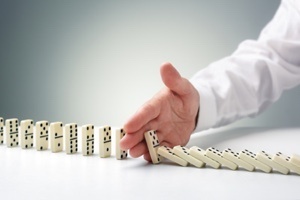 What's the right policy for minimizing risk and protecting employees and customers? Even though it’s probable that your business liability insurance policy will cover you against such claims, it could be a smart move to minimize this type of risk by being pro-active. For instance, requesting an exemption from the scope of the concealed-weapon law will give you the authority to ban weapons in the workplace. Make it your company’s policy for all present and future employees that guns are not allowed on the premises. That would eliminate the possibility of a lawsuit…wouldn’t it? What if your employee is attacked? Think about your employee being attacked and beaten at work after you have forbidden him from carrying a weapon. Looking at this from his perspective, couldn’t that employee file suit claiming that he was unable to defend himself because of your weapons ban? The injured worker could assert that he sustained a bodily injury and that you, as his employer, are legally responsible for those injuries. The workers’ compensation exclusion and the employers’ liability exclusion in the general liability policy would need to be considered, but if the injury to the employee is not work-related - in other words, not arising out of and in the course of employment - the exclusions won’t apply. In that case, your general liability policy would respond with a defense since there is no exclusion in the policy to prevent such a response. But, of course, the duty to pay the claim would depend on your liability being established in a court of law. Suppose you don’t ban weapons and one employee shoots another? If the shooting injury did not arise out of the employment, the general liability policy would respond to a claim against you, but if the injury arose out of the employment, you could look to workers’ compensation for coverage. But what exactly is "out of and in the course of employment"? State workers’ comp laws have yet to define this. It may have to fall to the courts to make this determination. The list of potential problems that concealed weapon laws pose for you as an employer is quite long. Good risk management calls for preemptive actions. Banning weapons from your premises is a good start. And instituting hiring practices (pre-employment screenings, etc.) that yield levelheaded employees who won’t resort to violence to settle disputes is also necessary. All business owners can learn to live with concealed weapons laws, but none can afford to ignore them. To learn more about Commercial General Liability Insurance, contact American Insuring Group online or call us at (800) 947-1270 or (610) 775-3848. As an independent insurance agency, we'll compare pricing and coverage among many competing carriers to get you the right commercial insurance at the right price. Contact us today! Attention: restoration contractors! You may have lucrative opportunities from an unlikely source—mold. Yes, the fungus that grows in moisture-laden areas of many old homes has created a demand for professional mold remediation services. Done right, you can grow your mold remediation business while controlling your contractors insurance rates. Mold is one problem that homeowners cannot just ignore. Not only does it look disgusting, but it can also weaken the walls, ceilings, floor, and foundation of a house. And it presents a substantial risk to the health and safety of its inhabitants. But along with the possibility of additional income, mold has created new risks for businesses that work on water damage restoration, mold removal, or construction. By implementing a mold risk management strategy, however, contractors can participate in these business openings without endangering their company with uninsured liability. Around 2001, the number of insurance claims for mold damages soared, as did the income for restoration contractors. Unfortunately, the insurance industry had not expected this rush of claims, and they had not priced them into their policies. In response, insurance companies were compelled to begin issuing mold exclusions and limitations. While these exclusions are not standardized, almost every type of property and liability insurance policy has them. Without contractors insurance to help resolve their mold problems, some property owners tackled the mold themselves (bad idea!) or sought out mold remediation experts. But these experts are not the only contractors who come up against mold on a regular basis. Restoration contractors, plumbers, and electricians also encounter mold on their job sites. Even though they have not been hired to eliminate a mold issue, these contractors should always inform the property owner when they discover mold. So, why should this put any contractor at risk? In an ironic twist, many homeowners began filing lawsuits against the contractors who pointed out the mold to them. This shoot-the-messenger mentality put contractors at risk of liability. The Commercial General Liability Insurance (CGL) policy, usually a protective tool for a contractor, has the same pollution exclusion clause as the homeowner’s policy. This exclusion states that the insurance does not cover any bodily or property harm caused by the escape, dispersal, or release of pollutants. Is mold a pollutant? There is no universal agreement on this from the courts. Some have found the policies to be vague in their definition of pollution, while other courts have defined mold as an airborne pollutant. Contractors need to protect themselves against potentially devastating lawsuits. There are now insurance policies that specifically cover mold and pollutants. Contractors Pollution Liability (CPL) can be added to your CGL to cover liability for these pollutants and provide an unambiguous definition that includes mold or fungi. CPL is probably the best available policy for contractors wanting to avoid liability when they discover mold on a job site. And there are other methods contractors can use to manage their mold risks. Choose your customers wisely: If your client is aware of a mold problem and knows the insurance company won’t cover it, you may want to walk away from this job. Document your work: Leave nothing to chance. Use photos, notes, and witnesses to corroborate your findings. Treat your customer with empathy: Approach your client with a plan of action that shows you understand his problem and will work with him to solve it. Protect yourself: Adding CPL to your contractors insurance will complete an arsenal that will mitigate your mold risks. To learn more about Commercial General Liability and Contractors Pollution Liability insurance, or for any business insurance need, contact American Insuring Group online or call us at (800) 947-1270 or (610) 775-3848. We offer insurance from over 25 competing carriers, so we're sure to find you the right insurance at the right price. Call or click today! In 1992, 79-year old Stella Liebeck filed a lawsuit against McDonald’s for serving coffee that was too hot. In a product liability case that became known as the “McDonald’s Coffee Case,” the Albuquerque woman sued for injuries she had received after spilling coffee on herself. The basis of the lawsuit centered on insufficient warnings on the cups. After a trial and appeals, the parties settled out of court for an amount of less than $600,000. This serves as a powerful reminder that having the right commercial insurance in the form of product liability insurance can help cover unpredictable claims. The damages awarded in this claim, and others like it, include medical costs, compensatory damages, economic damages, and, in some instances, attorneys' fees, costs and punitive damages. While a large company like McDonald’s was in no danger of being financially damaged by the lawsuit, product liability claims can and do put smaller companies out of business. Product liability is not difficult to understand. Simply put, your small business is responsible for the safety of the goods it provides. And that can be true even if you’re not the manufacturer. No matter where you are in the supply chain, you can be at least partially responsible for consumer safety. Manufacturing or Production Flaws: Some part of the production process created an unsafe defect in the product. Included here are dangerous chemicals found in goods imported from China. Design Defect: The design of the product is inherently unsafe. Remember the Pinto owners’ lawsuits against Ford in the 1970's? Defective Warnings or Instructions: The product was not properly labeled or had insufficient warnings for the consumer to understand the risk. The McDonald's coffee case is an example. Your company’s survival depends on getting your products into the hands of consumers. But you must manage your product liability risk while you’re doing that. What’s the answer? If your company offers any products to the consuming public, then you need product liability coverage. In many cases, some form of this coverage will be present in the standard commercial general liability or business owners' policy. You will need to confirm this with your insurance professional. 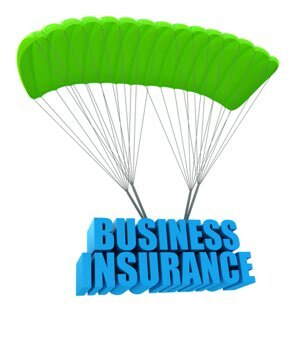 Having a clear understanding of your business insurance coverage is essential. General Liability Insurance can help pay your defense costs if a customer sues you because of bodily harm or property damage that your product causes. Product Liability Insurance covers the manufacturer's or seller's liability for losses or injuries to a buyer, user or bystander caused by a defect or malfunction of the product, and, in some instances, a defective design or a failure to warn. You can add this coverage as part of a commercial general liability policy. Recall Insurance helps cover the costs of a recall. Some business owners add it as a rider to their general liability or product liability insurance. It can contribute to paying for client notifications, product disposals, and other costs associated with a recall. Product lawsuits and recalls can drain your company’s bank account. Talk to us about protecting your business with a Product Liability Insurance policy that will help you manage your risks. We're independent insurance agents who are free to shop among many competing insurance providers to get you the absolute best deal on quality insurance coverage. Contact American Insuring Group online today, or call us at (800) 947-1270 or (610) 775-3848. Litigation is like lightening; it can never be accurately predicted. So, the best defense against both is to avoid them altogether. While it’s possible to seek shelter and stay out of harm’s way during a storm, avoiding a professional liability lawsuit can be much more complicated. Being diligent in all areas of your business could be an asset if you face a professional liability lawsuit, even if you have professional liability insurance, but it can’t always prevent one. If you own a small-business and you’re being threatened with a lawsuit, your best defense is preparation. Assume that a lawsuit could be coming at any time and you may be ready if it actually does. Just keep in mind that overly-complicated documents may hurt your case. If a mediator or jury can’t follow the information in a key document, they could easily assume that your client couldn’t either. Keep your lawyer informed by disclosing everything that might pertain to the dispute. Don’t hold back. Lawyers are trained to sift through information and determine what is useful and what is not. Prepare summaries, timelines, and other materials. Be as accurate as possible. Your lawyer will base your claims and defenses on this information. Respond promptly to all requests. Your lawyer may have to work under a very tight deadline. The more time you give your lawyer to digest the material you provide, the better job your lawyer can do of using that material to prepare important legal papers. Keep your lawyer apprised of your schedule. You will need to be present at certain events in a lawsuit. Most of these events can be postponed or moved up to accommodate your schedule, but your lawyer must have enough advance warning that you won't be available. Your first instinct after being hit with a lawsuit might be to fight the claim with all available means. After the initial emotions have subsided, however, and you can approach the dispute objectively, you might discover that it makes sense to settle. An honest assessment might make you realize that that you were in error to some extent, or you may come to the conclusion that a sustained legal battle would drain your financial resources. You should realize that most lawsuits settle, and that the court system is designed to put pressure on both parties to settle. You continually need to reassess whether defending the lawsuit makes economic sense. If you see yourself spending a large amount on legal fees, settling the lawsuit is probably a good move. Remember that your time is worth something. So is your peace of mind. Protection starts with the right business insurance - call today! To learn more about Professional Liability Insurance, which helps you pay for the cost of lawsuits and other expenses for which you are legally responsible, and for all your Business Insurance needs contact American Insuring Group online or call us at (800) 947-1270 or (610)775-3848.